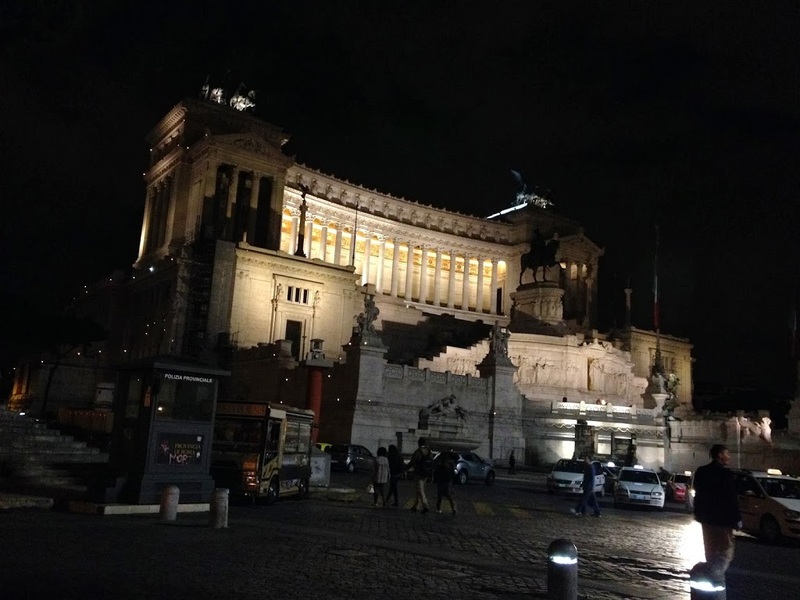 9/10/13 – Wednesday Ok so it is our holiday so we should really not get up before 9 but what can you do if the cheapest ticket to Rome is at 6.20! That way we have the whole day to be there! Funny enough that ticket cost only about €10 and it takes bit less then 2h to get to Termini in Roma the Eternal City! When I used to travel alone I find it a bit worrying if there is a lot of men around and non of them has a wedding ring. Single middle age men argh… I know it doesn’t really indicate much but this and the fact they started smoking weed and I would be done before I get to Rome – did it for me. We moved to a different carriage which was just fine. When in Rome… We tried to locate the place that would be our next home for another 3 nights. Salvadore B&B turned out to be basic but clean. They did lost the idea of a ‘Breakfast’ in Bed & Breakfast but it was about 10 min walk to St. Peter’s Basilica from there so: awesome! Every night on our way home we were passing the Vatican and the St. Angelo Castle! Lovely scenery for an evening walk! Next 3 days were all about the City, we’ve walked it up and down left to the right! Thursday – no more sleep deprivation, we left for the city at 2.09pm 🙂 Straight away we got lost – twice! With the map! Finally we climbed one of 6 hills of Rome and went to see FARO!!! In Rome!!! Haha!!! Then… a fountain close to Spanish Embassy, a monument of lost battle between French and Italians led by Garibaldi. Then smelly cheese shop, lovely stuffed pastries, small churches, Island Tiberina, fantastic Monument of Vitorio Emmanuel II, first king of Italy, Foro de Romano, Colosseum. Friday – I went to see Spanish Steps….. And Jacob went to see everything else he hasn’t seen yet 🙂 We met in the evening for a long romantic walk back home through the little alleys full of unexpected small discoveries: nice church or piazza, or an old, cosy jazz club with live music. Saturday – in the early morning – again! 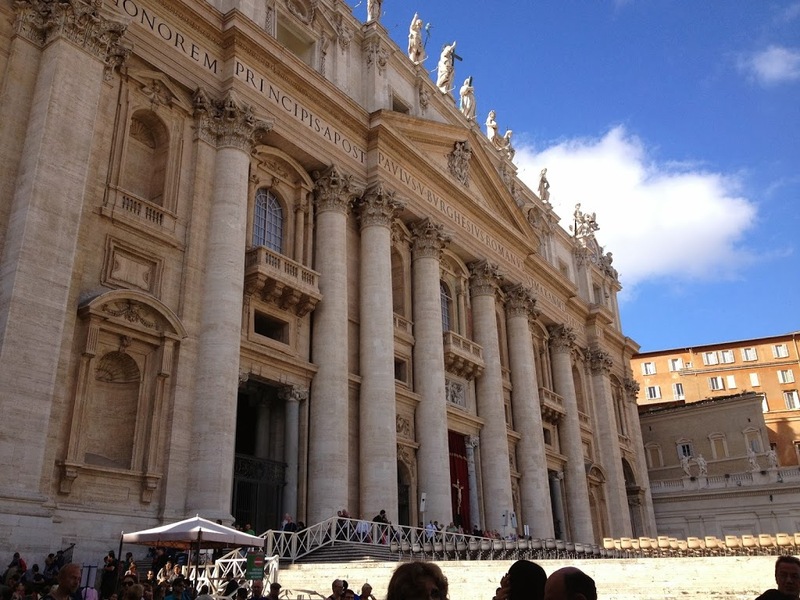 – we say goodbye to Rome (got some nice sweets before we took off) and take train back to Naples. We didn’t really want to stay there longer then we had to so we caught first train leaving for Sorrento.